Ha ha, I accidentally typed haircute, and then realized it was apt enough. 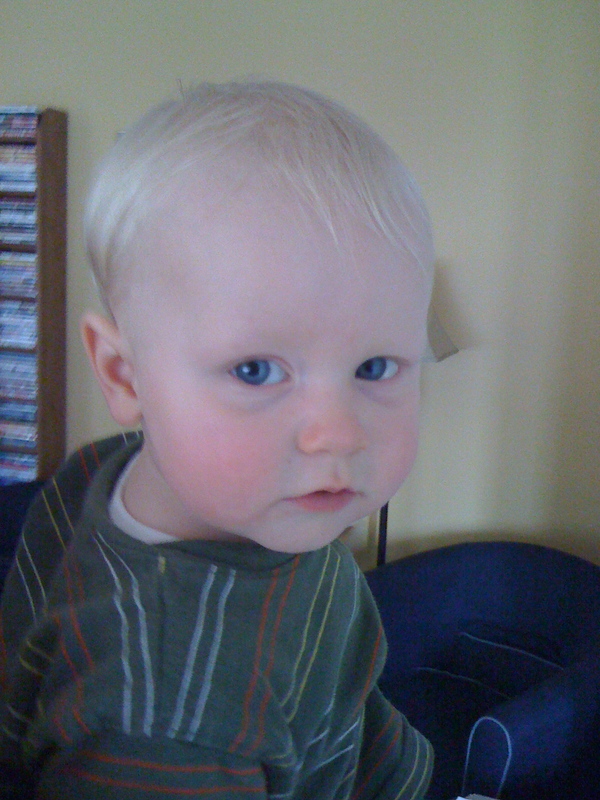 So yes, we had E’s ears lowered, to borrow a phrase from my high school music teacher, who would make this comment to boys who would come in looking younger and perkier than usual due to reduced cranial shag. E did not enjoy the process, it must be admitted. Daddy did an admirable job anyway. I, being my incurably sentimental self, especially about E’s silky flaxen locks, saved the trimmings for the scrapbook. 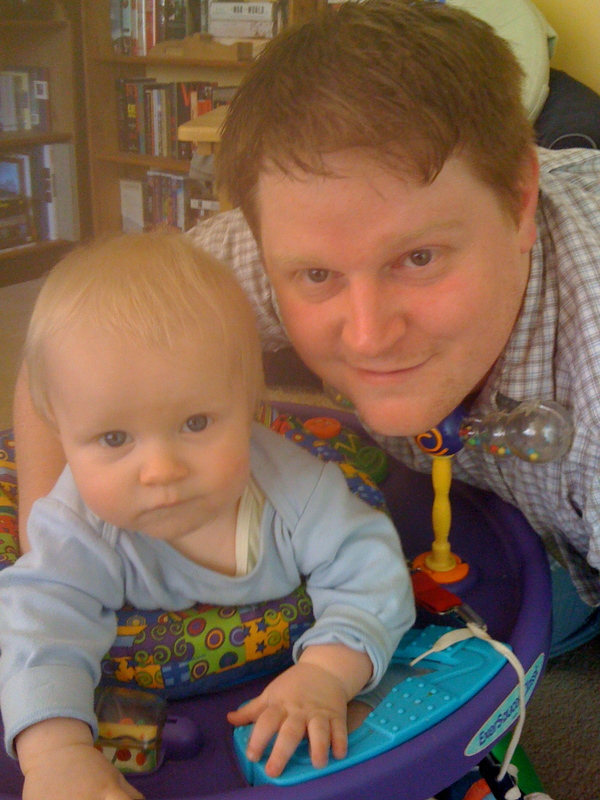 E with his Daddy, in April. Note E's shagginess over the ears. During the haircut... right before E got rather upset. 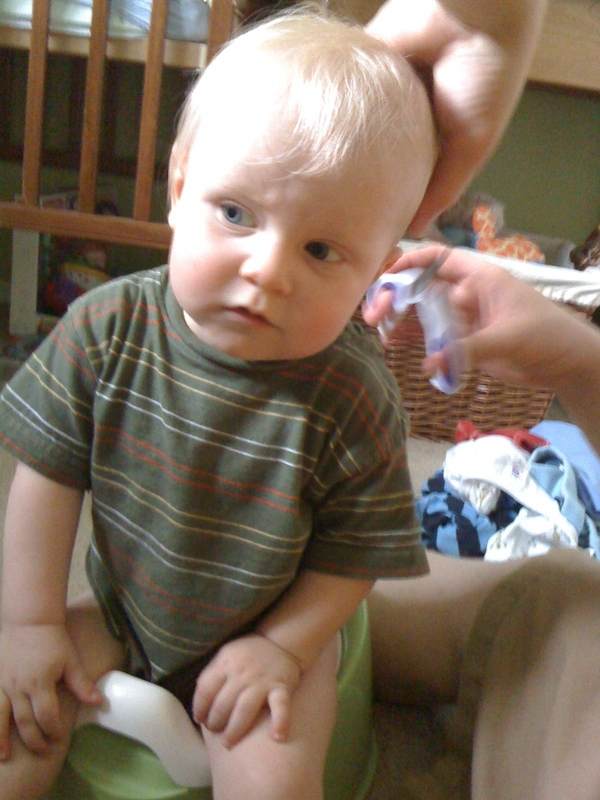 First haircut under his belt, E is now a very serious, big boy. yay! whee! oh yix, oh whix!